The Beekeeper’s Daughter begins in 1698 in Gothelstone Village, on the moors of England. Here in the town square is an unnamed woman. After being accused of witchcraft she is burned at the stake. While the smoke is rising around her, she sees her accuser. Seeing that he is enjoying what is happening to her, she yells out one last warning before she dies. Fast-forward many years later to the 1860’s. Annabel Taylor is the daughter of Lilith and Josiah. Although she lives a carefree life, Annabel is following in her father’s footsteps of becoming a beekeeper. As time goes on, the bees take to Annabel and she becomes their new owner instead of her father. After seeing how carefree and reckless Annabel is, Lilith decides to enroll her in the area school. While attending school Annabel soon meets Jevan Wenham, who leads a reckless and carefree life just like herself. Although she finds Jevan very intriguing, she keeps her distance. One day while at school, Annabel and Jevan have an altercation. When their teacher inquires more, Annabel ultimately covers for Jevan. After this altercation, Jevan and Annabel become inseparable. As their friendship grows, Annabel believes that they will be together forever. One day while Jevan and Annabel are roaming through the woods, Jevan leaves her with some devastating news. Jevan’s mother Adella will be traveling to London to stay with her sister. Jophiel, Jevan’s father, orders Jevan to accompany her. While there, Adella hopes that Jevan will receive a proper education and make something more of himself. When Jevan shares the news with Annabel, she does not take it very well. Her and Jevan do not leave the woods on good terms. The day before Jevan is supposed to leave, he tries to make amends with Annabel, but she doesn’t want to have anything to do with him. Four years later after dealing with the death of her mother and never truly getting over Jevan, Annabel is trying to get on with her life. One day Annabel meets Alex Saltonstall, the heir to the Gothelstone Manor. While they do not initially get along, Alex and Annabel soon become friends. Alex eventually proposes to Annabel, but she turns him down since she hasn’t gotten over Jevan. After the proposal Jevan returns from London. Annabel is instantly drawn to him again. Alex finds out about her and Jevan and soon plans a way to make Annabel all his. His plan works and Annabel is soon forced to marry him. After their marriage, since she is still drawn to Jevan, Alex orders a constant watch over her. This causes her to be stuck inside the manor for most of the day. During this time strange things begin to happen in the manor. As Annabel looks into what is happening she not only finds out about the manor, but information about her family history as well. Soon Annabel must race against time to not only protect Jevan but to figure out what is happening in the manor before it is too late. 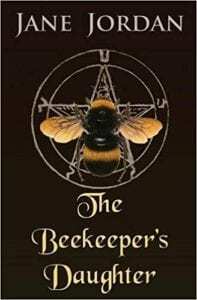 The Beekeeper’s Daughter is an interesting read. Not only is it a romance novel, but it adds in some history from that time period. It sheds a light on witchcraft and more specifically how it was viewed and practiced. Along with the historical factor, there is an interesting love story that unfolds. It is an intriguing romance that follows not only one love triangle, but two. Although it takes a little while to learn about the second, when it is revealed, it brings the story full circle. After learning all the information about why the events are happening, it leaves you going right along with Annabel to figure out how to overcome the unfortunate legacy that was planned out years before she was born. Quill says: If you are looking for a historical romance that dabbles with witchcraft, this is the book for you.